After Globe launched their new Rewards Points system, you can also download and install My Globe Rewards App that is already available for iOS users. 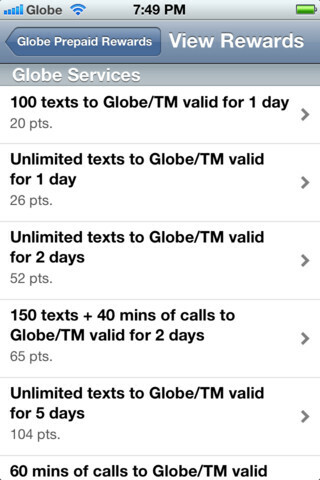 With this app Globe postpaid and prepaid subscribers can now easily check earned points, balance and receive rewards lists update right on the installed app. Having this app helps the subscribers to navigate conveniently the available rewards. In just a few taps you can easily redeem, inquire balance, share points and receive updates from My Globe Rewards iOs app. Points needed to redeem a certain reward is also included for you choose possible rewards option of your earned point. 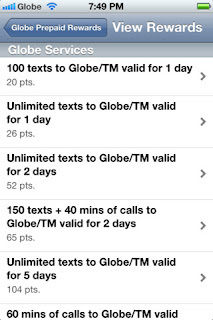 Download My Rewards My Globe App at iTunes Store.